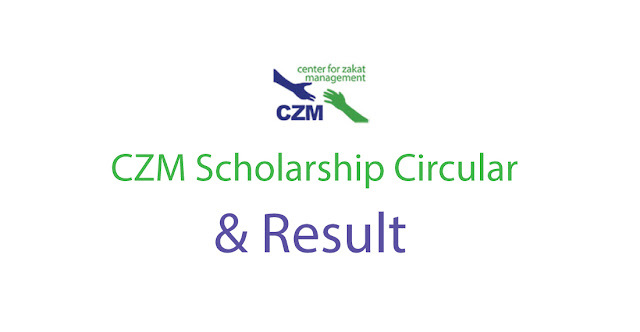 Centre for Zakat Management (CZM) has published CZM Genius Scholarship Circular 2018 for all university, medical and engineering students of Bangladesh. This scholarship program is continuing from 2010 to help the poor and meritorious students all over Bangladesh of all public universities, govt. medical colleges and engineering universities. Last Date for CZM Scholarship is 31 July, 2018. 1. The students who have admitted to any public university, govt. medical college or engineering university in the academic session 2017-2018. 2. The applicants must be very poor but meritorious. 3. Although no restriction about GPA, single A+ and Golden A+ both can apply. Without A+ you can apply too, but it will be hard to gain the scholarship in the CZM scholarship VIVA board. How to apply CZM Scholarship? 1. At first, send you application form to above address. 2. After sending application CZM authority ensures you about your application. 3. After one month, primarily selected students will get Mobile SMS for their VIVA. 4. VIVA center and other necessary details will be given then too. Generally, university campuses are used as VIVA voce examination. Thanks a lot. More any query like this Facebook Page and feel free to ask us www.fb.com/jobsnscholarship .